Welcome to the world Isla Jean! 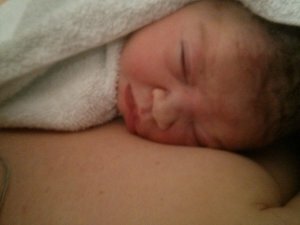 So, this is just a quick post, to say Welcome to the world Isla Jean! 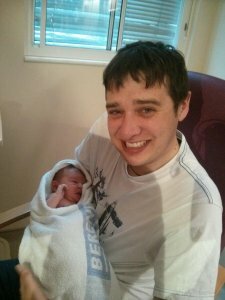 Isla was born on 1st May 2016 at 1859, weighing 6lb 11oz. Things generally went OK, and both me and Isla are doing well. I’m still a little sore as have got stitches, but they are slowly getting better after splitting in the first week. Can we say ouch!? Isla has been steadily putting on weight since birth, and we were amazed to find out she was exactly the same weight at her 5 day check up as she was when she was born…to the gram! On day 16 I had her weighed at our local health visitor clinic (when I say local, I mean it is literally 2 minutes walk from our front door, very convenient!) and she weighed 7lb 6oz! 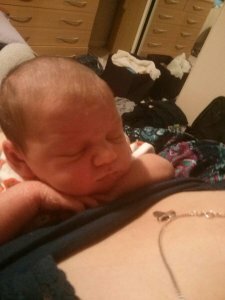 It’s obviously all the feeding she is doing, she definitely seems to be a hungry baby, which in turn results in a tired mummy! Chris is back at work this week, and we have so far survived! I do count the day as a success if I firstly manage to make it downstairs, and secondly if I manage to change into something other than pyjamas! Chris has been wonderful and he makes me a plate of food for my lunches so that he can make sure I eat enough and I don’t have to stress about making food while looking after Isla as well. So as I said this is just a very quick post to say welcome to the world Isla Jean! Welcome to Life As Mrs D, the story of a 30-something year old Wife to Chris, and Mum to Isla Jean who joined us in May 2016. Baby #2 (affectionately known as Bus!) is due in April 2019. I love my family, allotment, chocolate and cocktails. What more does a girl need? Keep up to date with my Life As A Wife by following Life As Mrs D on social media below. Pop in your email address to subscribe to Life As Mrs D's blog and receive notifications of new posts by email.